When most people think of Kenya they think of the famous game parks and reserves. But there is another wilderness beneath the Indian Ocean. Below the waves there is a whole new paradise to explore. Have you ever dreamed of scuba-diving in warm, tropical waters surrounded by brilliantly coloured tropical fish; wished to encounter the oceans' huge fish and dolphins close up; experience the thrill of an encounter with a shark in its natural environment; or to see for yourself the fabulous colours on a coral reef, all the fascinating invertebrates and crustacea and even meet a sea turtle face to face? Lapped by the warm tropical waters of the Indian Ocean the East African coast offers superb diving opportunities in several well protected national marine parks. 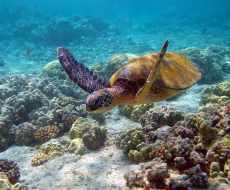 The coast in the Watamu area is recognised as having some of the world class dive sites. The reef here is close to the shore meaning that the coral reefs are easily accessible to novice divers and snorkellers. For the more experienced divers the outer reef has some excellent drop offs and large brain corals attracting abundant sea life. 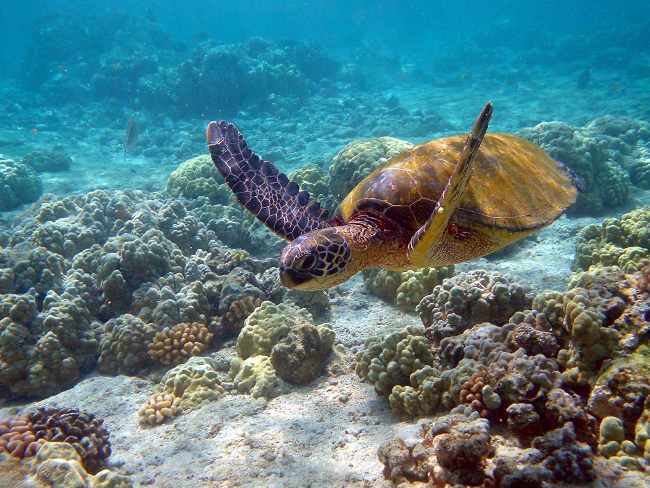 The Watamu National Marine Park and Reserve offers extensive diving and snorkeling opportunities for novice and advanced levels with the diving season running from August through to mid April and is closed in May, June and July, although snorkeling can be done all year round. Plankton and krill are present from December through to February when there is every chance of seeing whale sharks and mantas. Migratory pods of humpback whales from Southern Africa pass through this area during the months of September to December, and are often seen breaching in deep water beyond the reefs. There are 20 dive sites located in the famous Watamu Marine Park and Reserve with drops from 10-40 metres and visibility ranging from 15-40 metres. A wide programme of dives is available including wreck and night diving. Please see WMA Member's Pages and "Biz" Directory for diving opporunities.